Another Beautiful Day in Paradise. It was a very lovely day with a brisk wind out of the East. Absentees Chris M, Deb D and Paula C came. Welcome back ladies. We did the usual East Beach route. With the nice East Breeze the para-gliders were doing there thing at the East End. 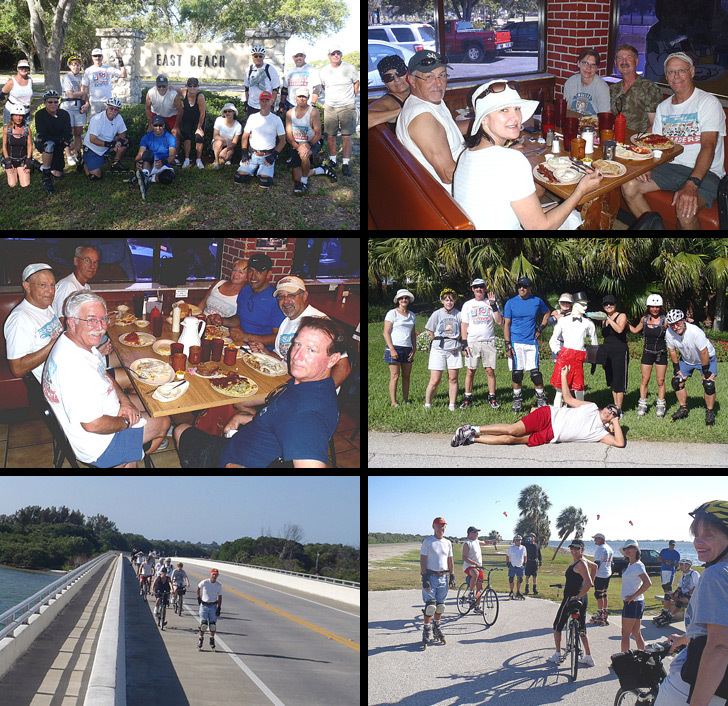 The Snowsharks were having their yearly Ft. Desoto campout but only Paula came out to bicycle with us. Dee indicated we did 11 miles. We had 6 bicyclists. We Brunched at Skyway Jacks as planned. We got right in and seated at two big tables. Service started off a little slow but picked up. Coffee flowed freely. Rob rated his Brunch a 9. We got in and out within an hour.